A pressure cooker is a utensil which is used mostly in the Indian kitchen. If you cook Indian food then you have already known about the pressure cooker. But if you haven’t switched to pressure cooker yet, then you are missing out the big item. We have discussed hare about Best Pressure Cooker Brands. As we know the pressure cooker is the kitchen appliances used in the kitchen for preparing food. A pressure cooker cooks food faster and also save time and energy. In a pressure cooker, food is prepared in the steam which takes less water and more miners and vitamins retained in the food. Since pressure cooker takes short time to cook food with the sealed environment, there is no loss of flavor and moistures. In today’s’ time, pressure cookers are easy to handle and maintain as well. Moreover less the cooking time. Pressure cookers now days are very safe utensil but if they are chosen very carefully with safety feature as well. Keep some things in mind before buying a pressure cooker. Buy always a good quality pressure cooker with the ISI mark on it. Cooker’s size should be according to your family i.e. 5 Ltr cooker will be sufficient for a family with four members. Since pressure cookers are very hot, there are must be a solid handle. There should be a short handle on the other side of the cooker. Handles should be made of an anti-slippery material for solid grip. 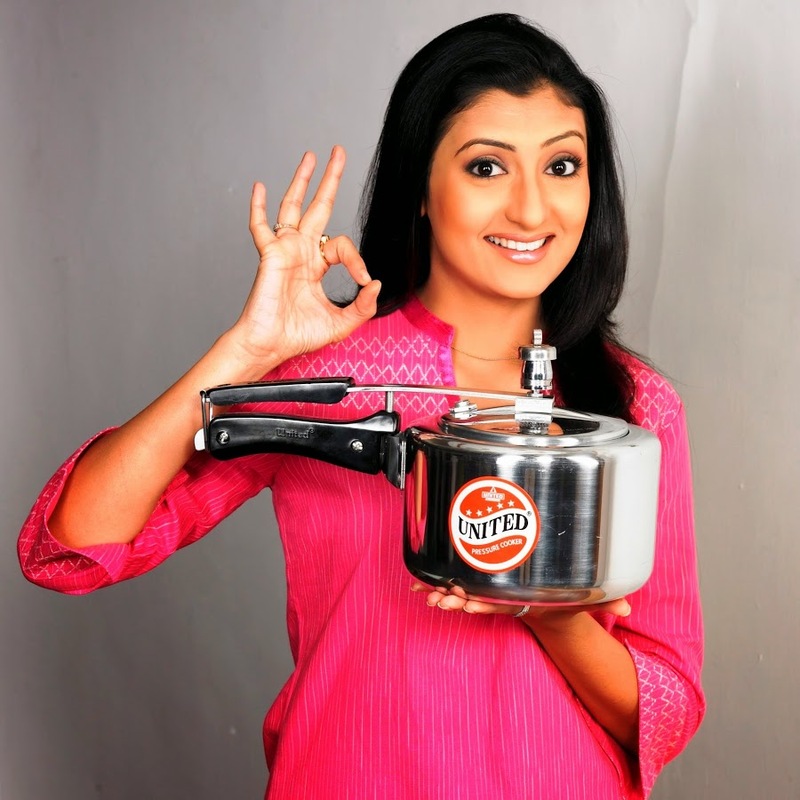 While choosing a pressure cooker there is an important factor which is the brand. Always chose a branded pressure cooker with higher safety feature and especially whose spare parts easily available near you. 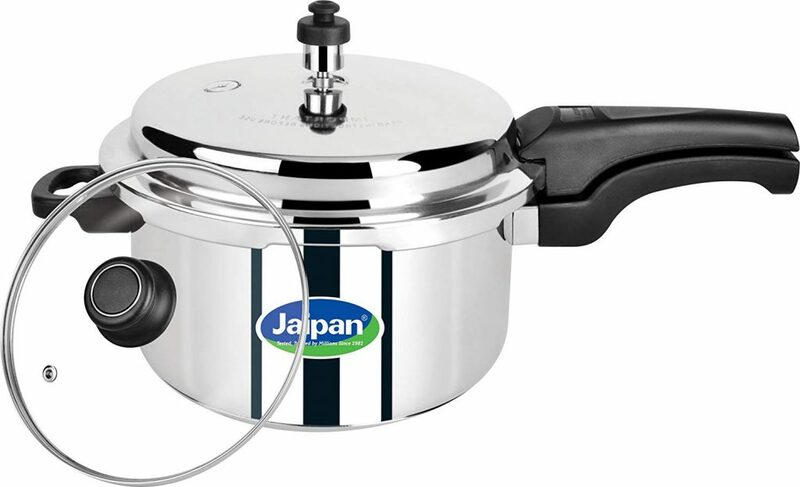 Various type of pressure cookers available in the market. 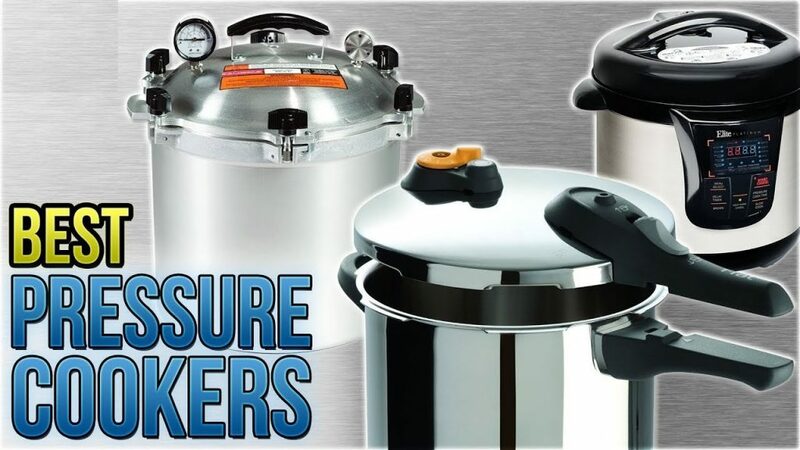 Like aluminum Pressure Cookers, Stainless Steel Pressure Cookers, Hard Anodized aluminum Pressure Cookers. We have shortlisted the top brand pressure cooker from India 2019. Hawkins Cookers Limited has been working since 1959 by an entrepreneur H. D. Vasudeva. Hawkins offers their products not only in India But also in the various country all over the world. Hawkins offers 73 different models in twelve different type. Hawkins has sold approximately 72 million pressure cookers. Hawkins doesn’t compromise with the quality and produces always the quality product. TTK Prestige Limited has been working in India for the last five decades. In 1928, T.T Krishnamachari, who is the first finance minister of India, established, TTK Prestige Limited. And becomes the largest home appliance company in India. Prestige brand products are placed on the four pillars like safety, trust, durability, and innovation. These four pillars make the brand the first choice of the customer. Prestige offer many products and services which are unique. 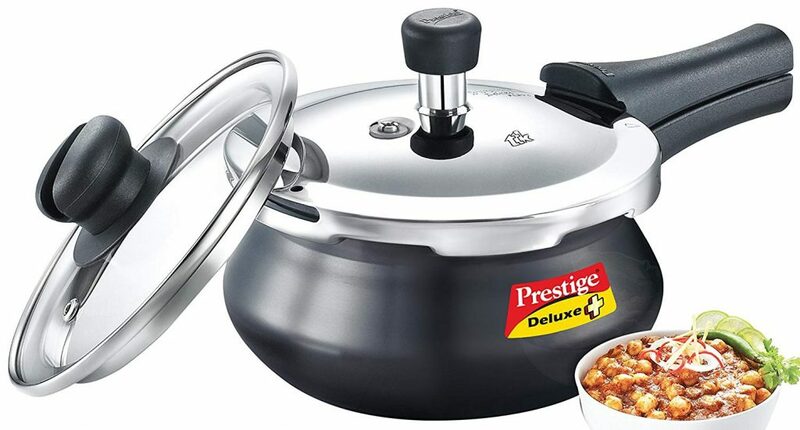 Prestige offers the various product like a rice cooker, roti maker, mixer and grinder, milk boiler, and air fryers etc. Bajaj Electronic Limited is established in 1938 by Kamalnayan Bajaj. 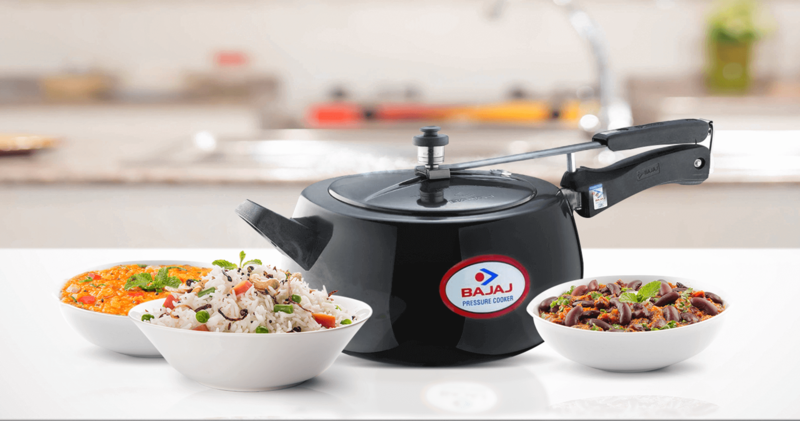 Bajaj Electronics Limited produces various products like Home Appliances, Fans, Engineering, Lighting, and Products. Bajaj Electronics Limited is better known as BEL. BEL produces a high-quality product and becomes very popular for their home appliances product. People trust BEL because of its durability and solid products. Jaipan Industrial Limited is one of the famous Industry of India and handled by Mr. J. N. Aggarwal. Established in India 23 years ago. Jaipan industry believes that customer satisfaction is the primary key to success. Jaipan produces the very convenient and most innovative product which would make life easier and enjoyable. Jaipan has a wide range of products about 140. United group has been working in India since 1954. United group produces very affordable cooker for every house. United pressure cooker becomes very famous or ‘must have’ utensils for every kitchen. United group believes that to provide the quality product with the affordable price to every customer which makes your cooking safe. These all are India’s best brand of Pressure cookers, You can believe in blindly. Choose your home appliance according to your need and choice. If we miss anything, you can tell us in the comment section. Please put the review as well.